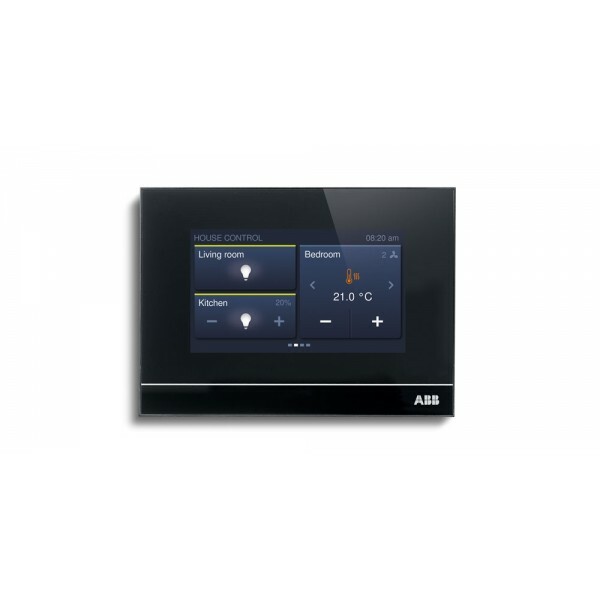 For the central control of up to 16 configurable ABB-free@home® functions of type: switching, dimming, blind, RTC, scene, Philips HUE.Suitable as room temperature controller extension unit (up to 8).In connection with temperature sensor 6226/T the integrated room temperature controller can be fitted with a remote sensor. 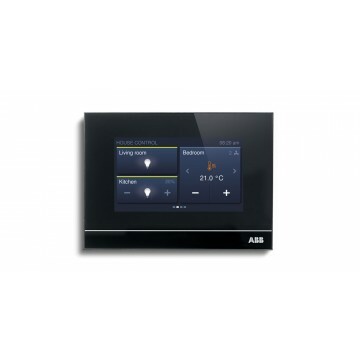 ABB free@home® Flush-Mounted Box Touch 4,3"
Description: For the central control of up to 16 configurable ABB-free@home® functions of type: switching, dimming, blind, RTC, scene, Philips HUE. Suitable as room temperature controller extension unit (up to 8). In connection with temperature sensor 6226/T the integrated room temperature controller can be fitted with a remote sensor.